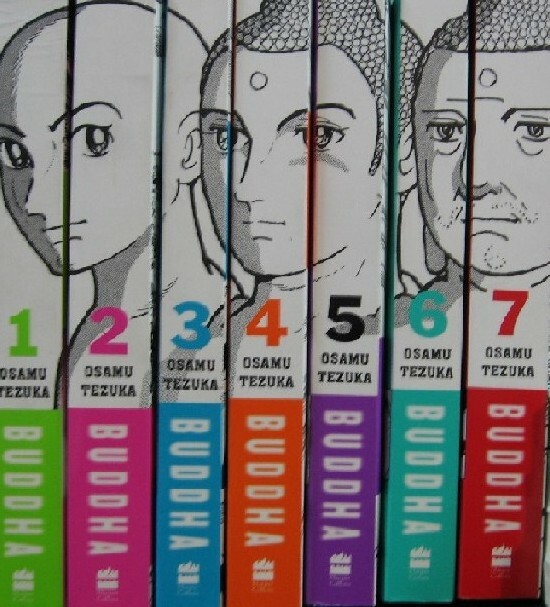 When I started reading Osamu Tezuka’s eight-volume manga series about the life of Buddha, I didn’t realise what a sprawling work it would turn out to be. I had only the first volume (Kapilavastu) with me at the time and it seemed a lightweight book: beautifully illustrated and plotted, no doubt, and full of interesting characters and stories, but a fast-paced comic all the same. It took barely a couple of hours to get through and wasn’t as demanding as some of the other graphic novels I’ve read. But now that I have all eight books with me (I’ve finished six of them), it’s easier to appreciate what an epic feat the Buddha series is. For one man to have drawn and written something on such a scale (the complete work is around 3,000 pages long) is notable in itself, but to have made it so rich, complex and thematically consistent is a stunning achievement. 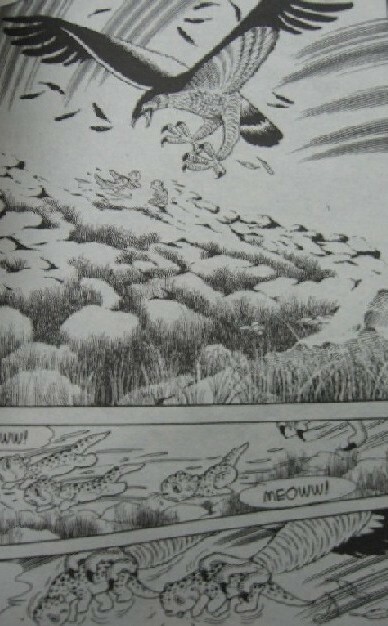 It’s easy to see why Tezuka is revered by manga and anime buffs. 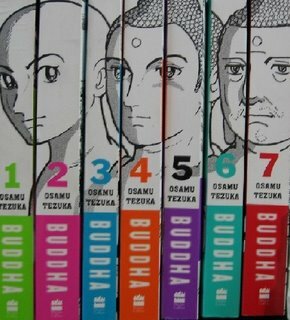 At the heart of Tezuka’s work is the story most of us are familiar with: the birth of prince Siddhartha in the Shakya kingdom, his encounters with old age, disease and death, his decision to renounce the world, and his eventual transformation into Buddha, the Enlightened One. But woven together with this central strand are numerous other stories and characters, some entirely fictional and others that are fleshed-out versions of historical events and personalities. In fact, Prince Siddhartha is only born very late in the first book, the bulk of which deals with the adventures of a young shudra named Chapra and an impish pariah (untouchable) child, Tatta. Both these characters contribute strongly to setting up the larger story, and Tatta in fact goes on to become one of the series’ protagonists – his path intersecting with Siddhartha/Buddha’s at many subsequent points. Other important characters include the unyielding monk Dhepa, who believes true purity can only be achieved through mortification of the flesh; the snotty-nosed Assaji, who can see into the future and counts down the days to his own violent death; a tormented shudra-born giant named Yatala; and Devadatta, whose story serves as a counterpoint to that of Siddhartha and who eventually becomes the Buddha’s nemesis. Dealing with these many intersecting strands requires plenty of cross-cutting in the narrative, but Tezuka’s basic approach is beguilingly simple. 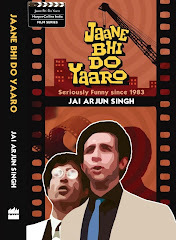 Within the first 20 pages of book 1, using a judicious mix of words and images, he summarises the major themes that will run through the series: the evils of the class system set in place by the Aryans thousands of years ago (“the hardship they created for Indian people endures even today”) and the idea that all life, right down to the smallest, most seemingly insignificant creature, is sacred. All living beings are interdependent and part of a larger design where each creature has its function. These are among the great lessons of the Buddha’s life and the series stays true to them all the way through. Early on, the monk Naradatta is condemned to live like a beast in the forest because he commits the sin of sacrificing the lives of a number of animals in order to save one human. Some of the most captivating passages in these books are the wordless stretches that deal with human-animal interaction or the lives of birds, beasts and insects. Like the sequence where little Siddhartha goes into a trance and experiences a bird’s existence from birth to death. 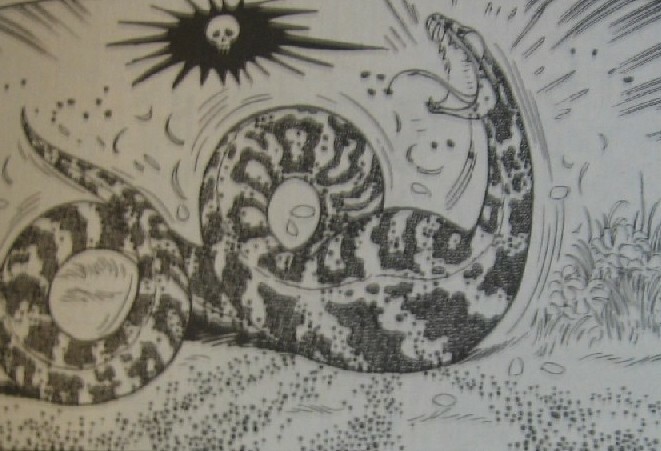 Or the lovely montage in book 3 about the relentless workings of the food chain (a snake swallows leopard cubs but is itself consumed by killer ants, which in turn are swept into the river in a storm and eaten by fish, which are caught by a human, and so on). And Devadatta’s life with a wolf family, his subsequent travails and his adopting of the adage “the weak perish, the strong survive”. But the writing, though important, is secondary. The strength of these books is the black-and-white artwork, which ranges from straightforward children’s comic-book drawings to thrillingly detailed sketches (especially in the depictions of nature). At which point I must take recourse to an old disclaimer, also used in this post: it’s very difficult to do a satisfying review of a good graphic novel. One always ends up sounding too pedantic or discussing the text more than the pictures, and this can be no substitute for the actual experience. So read these books for yourself – or at least read the first two and then decide whether you want to complete the series. There’s much more to discover in them than I’ve been able to write about here. You'll thank me for not going on too long. P.S. Many Delhi bookstores are now retailing manga titles, though there is still a conservatism about stocking works that have strong sexual content or extreme violence (there are exceptions, however – such as Crying Freeman, which I saw at Midlands recently). Also see these links: Tezuka in English and Tezuka Osamu World. I logged on to see something on boyle but was pleased to see the manga melange. They say among the two metros (on wheels), manga in Tokyo is equivalent to the midday of mumbai. I always seem to be learning new stuff (besides generating interests in some books) through your posts. ART: I also provided the Wikipedia link to manga (and anime) somewhere in the post - lots of info there in case you haven't seen it already. Pankaj: if you can't buy them, beg or steal - or best yet, borrow from Ajitha. I think she has the first few books. Hullo, thanks a lot for this post which I came upon by pure chance! After waiting for the English version paperback vols to come out, I finally got the ist 4 vols from landmark in Calcutta some months back. I'm eagerly waiting for the remaining 4 now. I'm a devotee of the great Osamu Tezuka too! I've read the first book of the series, and it's quite excellent. Will buy the rest shortly, they're all available at the local Landmark. Joy! It is a 28 volume series with about 8 chapters in each volume. Do not go by the covers. They are done by Frank Miller for the English version. I'd also suggest that you look up "Lone Wolf and Cub" series. They are available at the Landmark bookstores. Good job reviewing Tezuka's book! If you've liked this Tezuka book, I'll suggest you to read "Epileptic" by David B. I've come across very few books to match its wit as well as its desperation (keeping in mind "Percepolis"). A must read! Your post is great!I always learn new things from you. Out of all of the manga and anime I've read by Osamu Tezuka (i.g., MW, Buddha, Apollo's Song, Phoenix, Astro Boy 1980's anime, and Ode to Kirihito), the best one was volume 4 Phoenix: Karma. It delves into Tezuka's philosophy very well. After reading your post, I was lucky enough to reserve and get all the 8 volumes at the public library. They are awesome! I went on to read Apollo's song after that. Thanks for introducing me to the world of Manga!